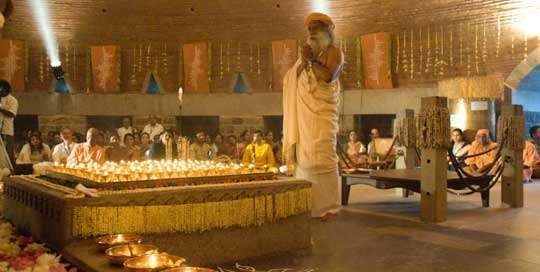 The exuberant nightlong festival of Mahashivratri will be celebrated this year on March 04th at the Isha Yoga Center. In preparation for the event, we’ve put together a list of five facts to know about this night of tremendous spiritual possibilities. 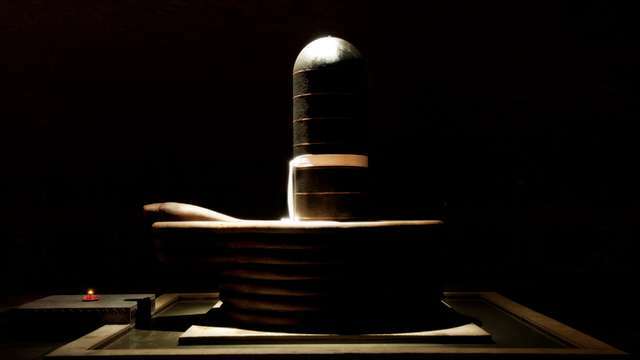 Sadhguru: The fourteenth day of every lunar month, a day before the new moon day, is referred to as Shivratri. On this day, there is a natural upsurge in the human energy system. The Shivratri which falls in the month of Magha in the Indian calendar (February/March) is referred to as Mahashivratri because particularly on this day, there is an assistance from nature to raise energies within the system. The whole system of yoga and spiritual process as such is about enhancing a human being from his limitations to his limitlessness. For this enhancement to happen the most fundamental process is that there is an activation, an upward movement of energy. 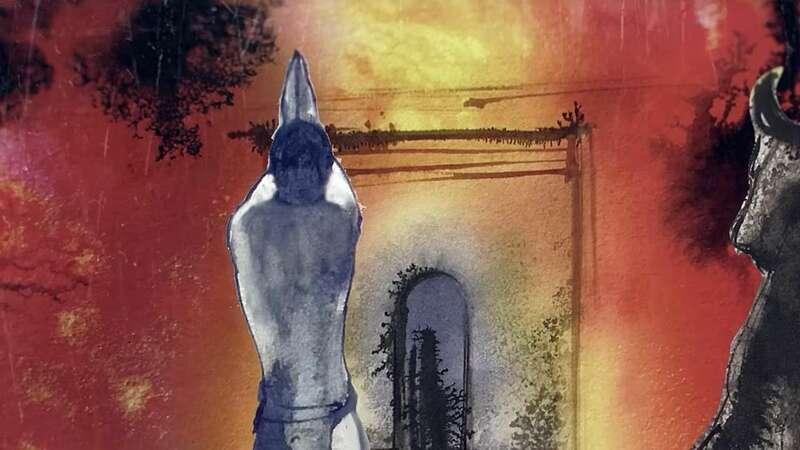 So for all those who are aspiring to be a little more than who they are right now, Shivratri is of significance, Mahashivratri is of particular significance. Sadhguru: Mahashivratri is significant in many ways. For people who live in family situations, Mahashivratri is worshiped as Shiva’s wedding anniversary. For the ascetics, it is the day he became one with Kailash, that is he became Achaleshwara and merged with the mountain. After millennia of meditation, he became as still as a mountain and became a part of it, merging and preserving all his knowing in Kailash. So ascetics see Mahashivratri as a day of stillness. The ambitious in the world see it as the day Shiva conquered all his enemies. Sadhguru: Whatever the legends, the significance of the day is that there is an upward movement of energy in the human body. So this night, we want to spend awake, aware, with our spines erect so that whatever sadhana we are doing, there is a great assistance from nature. All evolution in a human being is fundamentally an upward movement of energy. 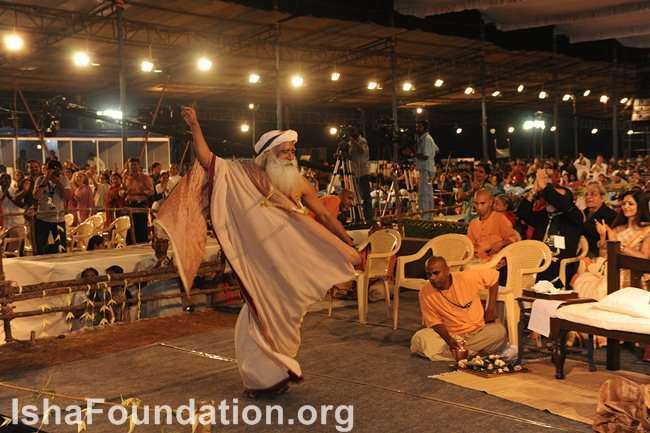 Every practice, every sadhana that a spiritual sadhaka does is only to move his energies upward. 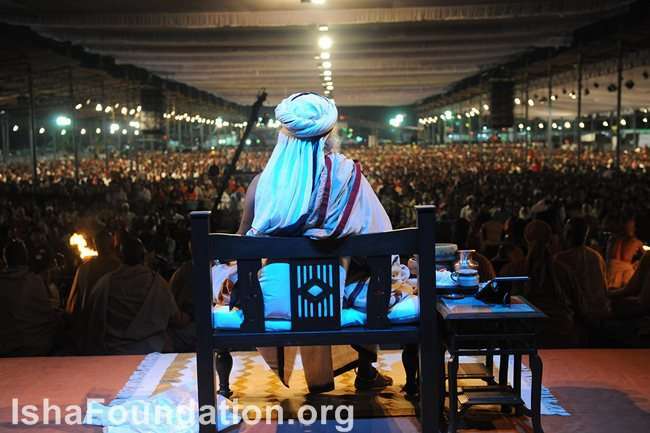 The exuberant nightlong festival at the Isha Yoga Center sets the ideal ambience to experience Mahashivratri, with explosive meditations and spectacular musical performances by renowned artists, drawing over a million people. In the presence of Sadhguru, this unrivaled celestial extravaganza opens up the tremendous spiritual possibilities of the night. Live performances by musical artists of international repute, interspersed with colourful cultural presentations and Isha’s own home-grown band, Sounds of Isha, mark the night long celebration. The basis of all creation, including the physical body, are the five elements or the pancha bhuta. The wellbeing of the body and the mind can be established by purifying the five elements within the human system. This process also shapes the body to become a stepping stone towards one’s ultimate wellbeing rather than being a hurdle. There is a whole system of yoga called bhuta shuddhi, meaning purification of the elements. With the Pancha Bhuta Aradhana, Sadhguru opens up a unique opportunity for devotees to benefit from this deep yogic science which would otherwise require intense sadhana.